This is ourGiantex solid and elegant Wood Cabinet which is a fresh and clean complement toyour home and room. 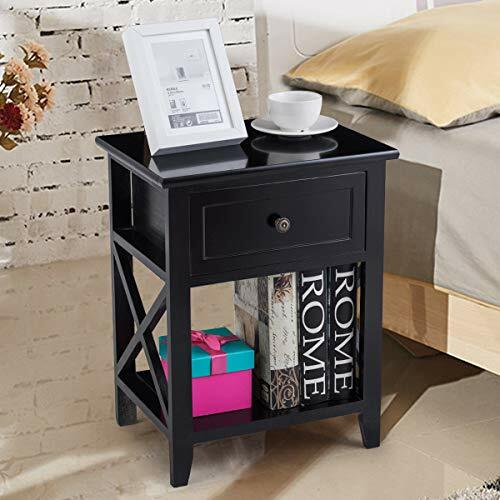 Constructed of high quality paulownia wood and MDF board, thiscabinet gives strong and durable support to nightstand itself and stuff on it.It features a slide-out drawer and a bottom shelf, which provide spacious spacefor putting books, magazines or other stuff. It is very convenience to use withthe easy-to-access drawer that opens and close it with its beautiful designedhandle. The exquisite black finish coating on the contemporary furniture willbe a perfect compliment any room decor. It will be worthy of your choice! 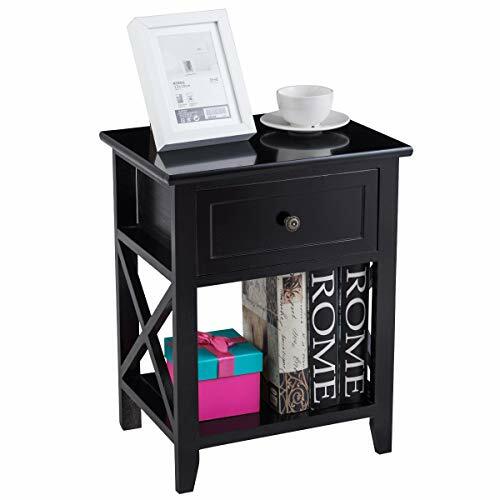 【Multi Usage】 - This functional end table can work as end table and lamp table as well as serve as a decorative display table where you can put books, photos. One top drawer with handle has spacious room for storing private or any other stuff you like. 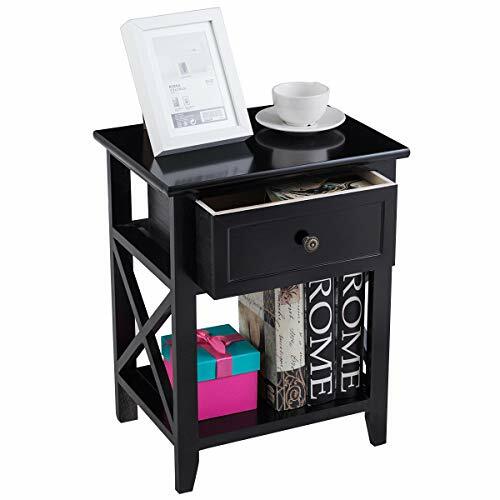 The bottom open shelf provides ample storage space for storing and displaying. 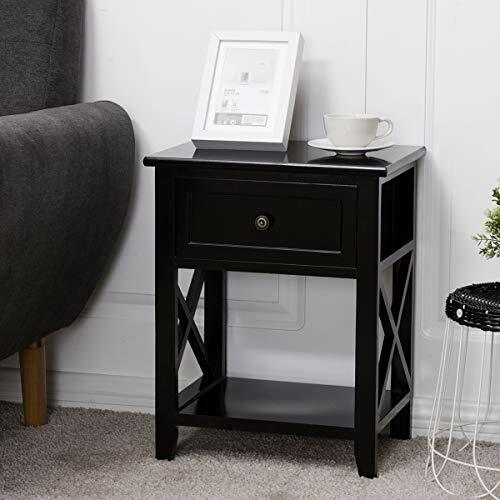 【Sturdy and Long-Lasting Material】- Our nightstand is constructed of high-quality paulownia wood and MDF board which are thick and durable enough to strongly support the end itself and stuff inside or on it. 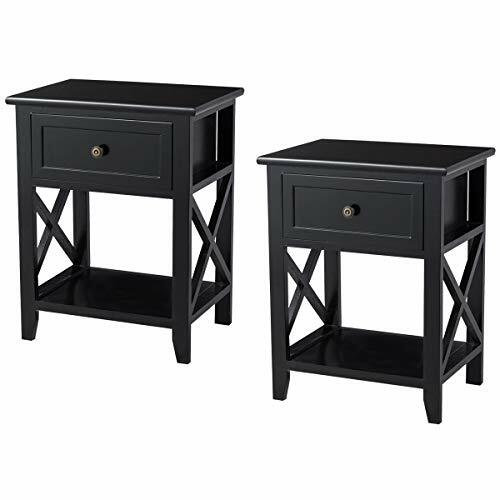 With high-quality and exquisite coating, the nightstand surface is so glossy and smooth that it won't be molded or peel off. All parts are tightly installed well with exquisite hardware and keep in shape. 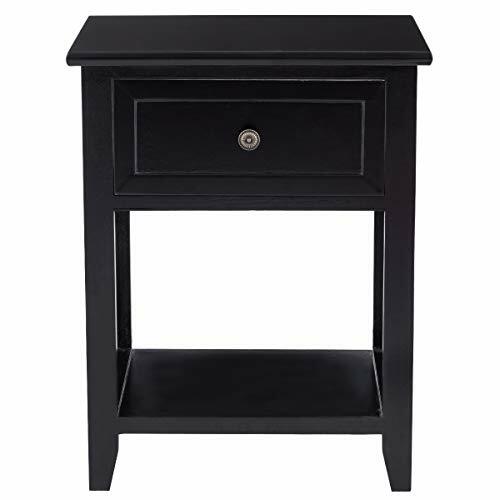 【Easy to Maintain Clean】- Featuring its smooth and glossy surface, the nightstand just needs to be wiped with damp cloth and maintains brand new. 【Simple and Clean-lined Design】-White color looks fresh and natural and gives you a feeling of relax and comfort. Simplicity symbolizes simple attitude towards modern life. X-shaped side construction offers strong support to the whole shelf. 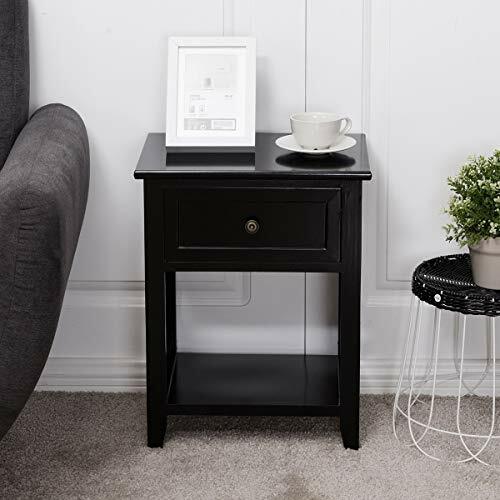 【Easy to Move and Access】- Characterized by light weight and compact design, our end table is easy and convenient for you to move it to any place in your home. 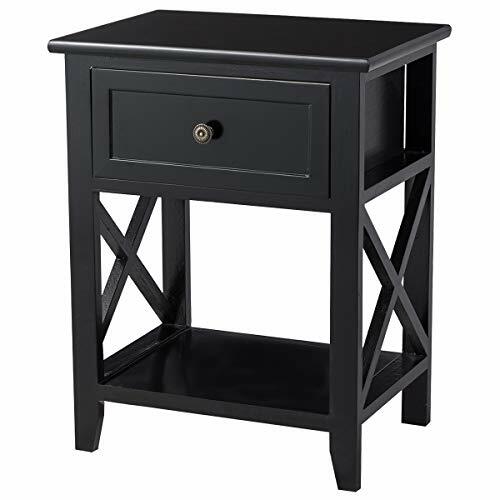 Not only does this end table play its functional role, but also serve as a beautiful and elegant decorative furniture. Being put beside sofa or bed, it is also easy to access.